Michael Saad hasn't uploaded this document. * Final gross prices may vary according to local VAT. In recent decades, Coptic Egyptian immigrants have steadily adopted new homelands throughout the world, most significantly in Europe, North America, and Australia. 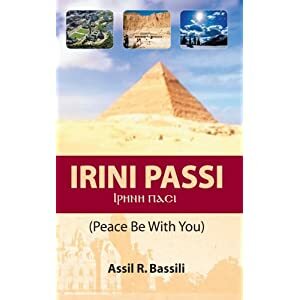 Their efforts perpetuate their religious and cultural identity and connect diaspora communities and experiences to the mother church as well as to the realities of marginalization and persecution of their co-religionists in Egypt. 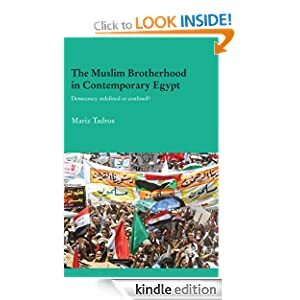 However, relatively little research has been carried out on the virtual or digital presences of diaspora Copts, all the more significant in the wake of the so-called Arab Spring. 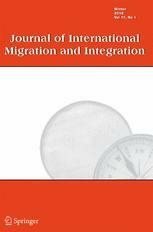 Focusing on religious identity, this article fills a lacuna by analyzing three case studies of electronic identity mediation and preservation in the Coptic diaspora: (1) the online ecclesiastical-pastoral and educational presence of Bishop Suriel of Melbourne, (2) the spiritual-social-cultural mission of the Los Angeles-based Coptic television station LogosTV, and (3) the global collaborative academic project of the digital Claremont Coptic Encyclopedia. These are part of an emerging electronic Coptic diaspora (e-diaspora)—a form of borderless territoriality—that functions to compensate for the loss of territorial and socio-religious-cultural-political control in Egypt and provide Copts with virtual territorial gains and borderless space for community and consciousness raising. An earlier version of this article was presented at the Annual Meeting of the American Academy of Religion held in San Diego (November 2014). 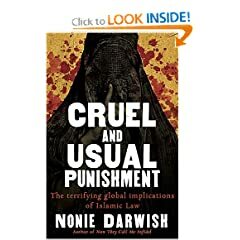 Dispatched from and sold by Amazon.co.uk. Gift-wrap available. Christians were either passed or failed; not a single one was placed in the ‘Good’, ‘Very Good’, or ‘Excellent’ categories. This meant that none of us Christians would achieve a high-flying career. The modern phase of anti-Christian violence in Egypt really began in 1972, with the establishment of the Gama Islamiya, a militant group. They started attacking Christian students on the university campus at Asyut, barging into our rooms and tearing down pictures of the Virgin Mary and other religious materials. A fight ensued. I and other Christians were expelled from university accommodation, but the Muslims who caused trouble were allowed to remain. The upsurge in militancy can be blamed to a great extent on President Sadat. After the assassination attempt on Nasser in 1954, many fundamentalists were rounded up and sent to prison. Sadat, faced with heavy challenges from the Left, indulged the Islamists and let many in from Saudi Arabia. He also called Egypt a Muslim country, even though 15 to 20 per cent of the population were then Christian. That figure has now fallen to 12 per cent, because of all the emigration. Want guaranteed delivery by Tuesday, 2 October? Order it in the next 20 hours and 12 minutes, and choose One-Day Delivery at checkout. 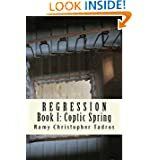 Books for sale:"Regression Coptic Spring"
Kindle Store › "Regression Coptic Spring"
Order in the next 21 hours and get it by Monday, Jul 30. Eligible for FREE Super Saver Shipping. 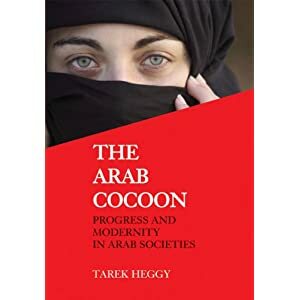 Heggy's other books in Arabic that are also available at "Dar al Horryiah"
You've heard about the courageous young investigators who covertly videotaped officials of ACORN advocating illegal activities. Now, get ready for an undercover exposé even more daring and audacious – a six-month penetration of the Council on American-Islamic Relations that resulted in the collection of thousands of pages of revealing documents as well as inside secrets. The history of religion is a history of schisms. You can make a case that every great religion is a heresy of some previous one: exactly as Christianity is a heresy of Judaism, which itself is a reworking of Ancient Babylonian myths, so Islam may be viewed as a sub-heresy of Christianity. In the sibling rivalry that exists between Jews, Christians and Muslims, we are all descendants of Abraham one way or another, like three children competing for a father’s attention. What we need to learn is how to get on with each other without resorting to violence – a massively tall order, as these books reveal. Stories of invasion and correcting understanding "Arabic"
عرض لكتاب" حكايات الاحتلال وتصحيح بعض المفاهيم"
Read more: Stories of invasion and correcting understanding "Arabic"
I recently taped and am watching a documentary, "The Crusades: Crescent and the Cross," on the History Channel. 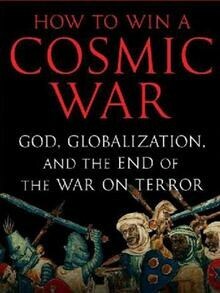 While it is more or less historically accurate—names, dates, figures—it suffers from two weaknesses, weaknesses that often take center stage whenever Islam is discussed in the West: 1) biases and apologetics on behalf of Islam, coupled with outright distortions concerning Christians and Christianity; and 2) anachronisms, by projecting the motives and worldview of modern man onto the motives and worldview of pre-modern man, both Muslims and Christians. New book "Coptic Worries" and dialauge with Mounir Bishai "Arabic"
الأقباط متحدون في حوار مع الناشط القبطي منير بشاي بمناسبة صدور كتابه الجديد "هموم قبطية"
هذا سؤال من الصعب أن يجيب عليه منير بشاي، فأنا لست متأكداً أنني أعرف كل شيء عن نفسي، وأسأل نفسي باستمرار من أنا؟ وفي كل يوم أكتشف عن نفسي أشياء جديدة، ولكن بصفة عامة أظن أنني إنسان عادي، هادئ الطباع، محافظ، ومتدين، ولا أميل إلى الراديكالية أو العنف مع أنها صفة غالباً تجدها في الدعاة والناشطين السياسيين. وفي نفس الوقت لا أقبل التفريط في الحقوق، وأميل للعيش طبقاً للقول المأثور لا تكن ناشفاً فتُكسَر أو ليّناً فتعُصَر. ولي عداء شخصي مع الظلم فلا أقبله سواء في حياتي أو حياة الآخرين، وأحاربه بشراسة. وربما هذا ما دفعني إلى الانخراط في هذا العمل الحقوقي. Read more: New book "Coptic Worries" and dialauge with Mounir Bishai "Arabic"
Read more: New book "Arabic"
Dhimmitude and unjustly treating copts "Arabic"
Read more: Dhimmitude and unjustly treating copts "Arabic"
History of Copts in Egypt by Dr Magdi Samy Zaki "Arabic"
في كتابه الذي صدر باللغة الفرنسية يسرد الكاتب تاريخ أصل الأقباط الفرعوني والتطورات المهمة من تاريخ أصولهم والانتشار الإسلامي حتى القرن الـ 21، مستعرضاً كتابه في 6 فصول ومراجع مهمة ووثائق مستنداً في بحثه بمراجع إسلامية مثل السيوطي والجبرتي وابن أسير وابن خلدون والمقريزي وغيرهم. و"الأقباط متحدون" تشكر الكاتب الدكتور مجدي زكي على هذا المؤلف الذي أضاف إلى المكتبة القبطية والتراث القبطي الكثير من التأصيل العلمي لتاريخ الأقباط. Le mot copte, syllabe unique et sonore comme un petit coup sec, se confond avec chrétien d'Egypte. Mais étymologiquement, il est la déformation arabe d'un terme grec, qui signifie égyptien, lui même dérivant d'ho ki Phtah, temple de l'esprit de Phtah, dieu créateur de Memphis, antique capitale égyptienne. 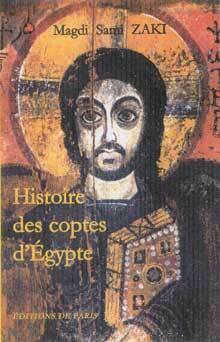 Ce livre relate l'histoire tourmentée de ces Coptes, depuis leurs origines pharaoniques jusqu'au XXIè siècle. Il dresse l'inventaire saisissant de leurs tribulations sans négliger d'aborder le sort comparable d'autres opprimés en terre d'Islam : Juifs, Arméniens, Berbères, etc. L'ouvrage comporte aussi d'importants développements inédits sur l'origine et l'expansion de l'Islam, la politique de Byzance, les Croisades, la célèbre expédition d'Egypte de Bonapart. Dans son argumentation, l'auteur s'appuie sur les témoignages des grands chroniqueurs musulmans : As Souyouti, Baladhuri, Gabarti, Hakam, Ibn Assir, Ibn Hicham, Ibn Iyas, Ibn Khaldoun, Ibn Saad, Makrizi, Waqidi, etc. Defeating Al-Qaeda will require more than a military strategy that attacks the core group's top leaders. Even if the military were to eliminate Osama bin Laden and Ayman al-Zawahiri tomorrow, the world's most dangerous terrorist organization would continue to wreak havoc. Al-Qaeda can do this because it can rely on a large peripheral network of cells and affiliate groups, which are local Islamist organizations with local grievances that are equally committed to global jihad. 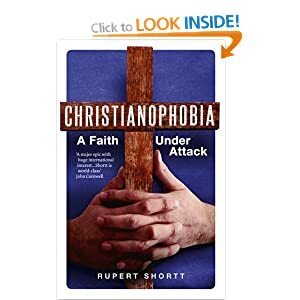 A comperhensive document of the persecution of Copts with detailed account on the significant events, the various aspects of persecuting and terrorising the Copts in their Home land. 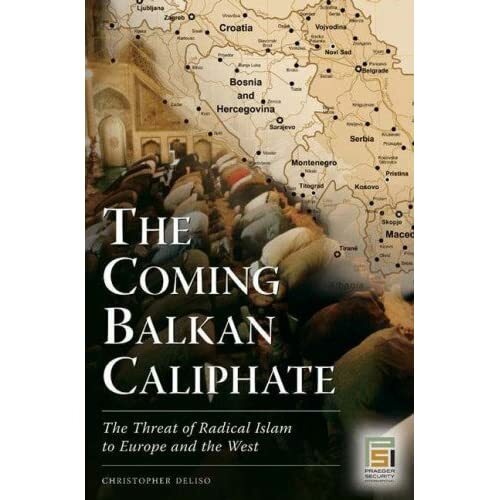 "Anyone imagining that Moslem extremists must be seen as a threat only east of Suez should read Chris Deliso's alarming accounts of their activities in parts of the Balkans made vulnerable by wars and poverty." - David Binder, New York Times Central and Eastern European correspondent, 1961-2004. Is ideological Islam compatible with liberal democracy? Ramses Hanna, from Egypt, a successful surgeon, denied his rights by fanatic superiors, emigrated to Canada in the sixties. 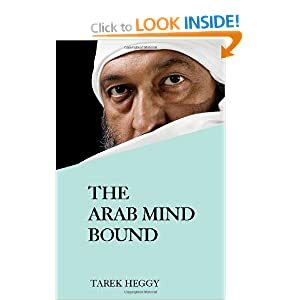 His tribulations reveal interesting reading about himself, his family and his love and about his Coptic church. important chapter on action readers can take.